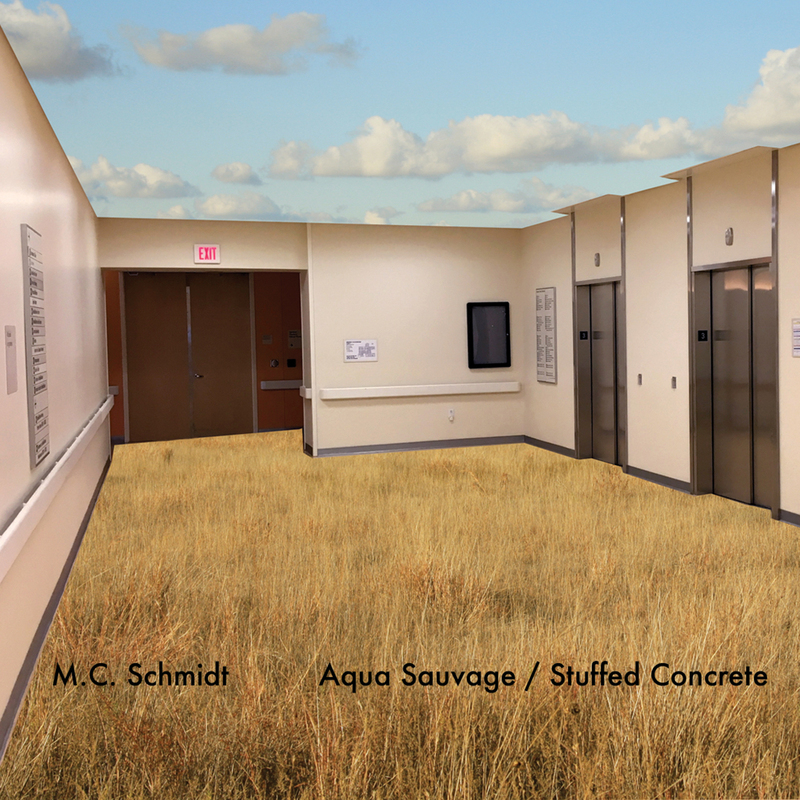 Northern Spy Records is pleased to announce “Aqua Sauvage / Stuffed Concrete”, a new album by M.C. Schmidt. As one half of Matmos and an increasingly active figure in free music circles, Schmidt is known for his taste in outré sound sources, and a combination of puckish humor and serious production chops. With his last album “Batu Malablab”, the prepared piano was the anchoring instrument and a mood of faux exotica prevailed. This new album, in which each side consists of a single long-form assemblage finds him stitching together improvised source material harvested from a striking array of guest stars: Jason Willett of Half Japanese, Max Eilbacher of Horse Lords, jazz bassist Lisle Ellis and Tomoko Sauvage on ceramics and hydrophones. Neither “drone” nor “noise,” the dream logic of Schmidt’s slippery and singular aesthetic stays on the tip of your tongue. At once relay race and rebus, the album keeps cresting and dissolving as layers of acoustic and electronic materials merge and separate. The palette is electroacoustic: we think we hear flute, bells and strings, but can never be sure what is a processed acoustic instrument and what is a cleverly detourned software emulation. Laser stabs and zaps from modular synthesizers are gradually supported by a purring sound that, upon closer inspection, just might be the artist making a “raspberry” blurt with his lips Surf-like white noise gives way to a delicate duet between Schmidt on percussion and Tomoko Sauvage, whose distinctive aquatic palette liquefies and seethes. 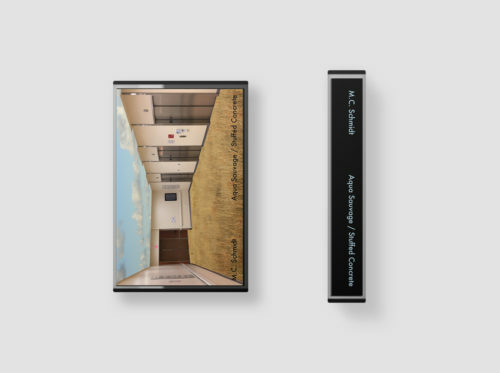 After a tumultuous and alien beginning, side one gearshifts into the pastoral work of Alvin Curran circa his “Magnetic Garden” period and comes out the other side into burnt digital sine waves. Side two begins with a shivering, insectile manipulation of a text spoken by the poet Brandon Som, with Schmidt’s software manhandling fragments of speech into warped textural particles on the threshold of meaning. When Som is finally intelligible, the “reveal” is startling, and brief, as this speech synthesis study gives way to a febrile, seasick melodic minimalism that may appeal to fans of John Bender or Three Legged Race. After some crisp musique-concrete origami fashioned from close-mic-ed recordings of paper and writing, the side concludes with a charmingly unexpected endless staircase vamp for electric piano in which Schmidt’s keyboard chops are set in joyous motion on a kind of lysergic George Duke solo above a re-purposed halfbar loop of prepared piano cannily sliced from Schmidt’s previous album. A cleansing field recording of rainfall brings this side-long suite to a close. 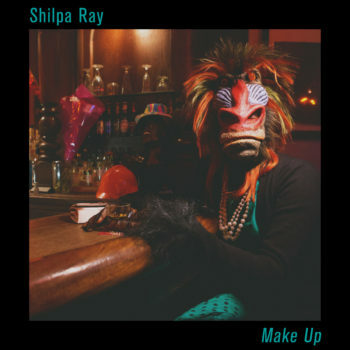 At once inevitable and uncanny in its how-did-I-get-here payoff, it makes an apt conclusion to a confounding new work from a boldly independent figure on the American electronic underground.